What sort of companies hire Sabio grads? We spoke with Betagig co-founders Melissa Hargis and Nicki Klein, to see why they prefer to hire motivated Sabio bootcamp grads to work on their job-shadow-to-hire platform. And get this – these co-founders are also Sabio grads! You may remember how their Hackathon success helped them launch a company of their own. Read on to see the reasons why Sabio grads continue to stand out from the rest! Tell us about Betagig and your role there. 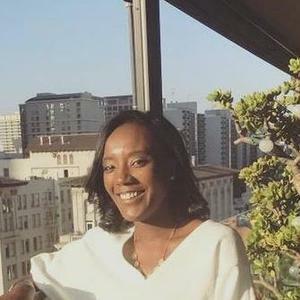 Nicki: I’m the CEO of Betagig and we help companies implement job shadow-to-hire programs, which is a new, unique, and innovative way of hiring. You’re able to give candidates a realistic job preview and be able to try out candidates before you “buy” them. Melissa: I’m the CTO of Betagig. I oversee all technology and implementation of our product, and I also code every day on our web app. How did you come up with the idea to create Betagig? Nicki: We’re both career changers. We were walking in Golden Gate Park about to participate in a Hackathon that was five days away. Melissa turned to me and said, “ Wouldn’t it be cool if there was an app where you could literally switch lives with someone for the day?” I told her, “no, it would be cool if you could change careers with someone for the day.” We went back and forth on whether it would be cooler to trade jobs or your entire life, and Melissa finally asked me if we were to change careers how could we make that happen. I said job shadowing! The idea for Betagig was created out of this conversation, and we won that Hackathon five days later. I’m actually a four-time career changer, so for me Betagig really hits home. Melissa: I was a college professor for years before becoming a software engineer. As someone who has experienced first-hand the standard journey from college into a career, and having spoken to numerous students going through the same ordeal, I have strong feelings about how we need to make some serious changes and create transparency when it comes to career development. You’re both Sabio graduates, but you’ve now started building out your team with other Sabio grads. 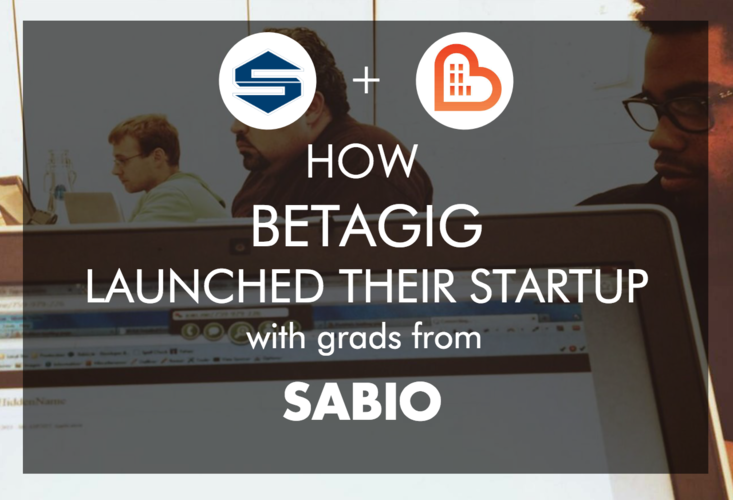 How many Sabio grads have you hired at Betagig? How are they doing? Nicki: Betagig is just over a year old and we have a team of seven. We’ve hired two Sabio grads and they are both software engineers who work under Melissa. Melissa: I interviewed other developers, but it was the Sabio grads who performed best on the coding challenges. On top of that, I know how they’ve been trained and what they know because I’ve been through it myself. These are the devs I want working for us. What are you looking for in a new hire? Do you notice differences in hiring from a bootcamp (vs. using recruiters, or hiring from colleges etc)? Nicki: We look for motivated, driven self-starters – people who are able to take on a new project and figure it out. That’s how we do everything since we first started. Neither of us has an extensive amount of software development experience, so we think the best developers are the ones who are the most resourceful. Have you worked with any other coding bootcamps yet? What stands out about Sabio grads? Nicki: We hired a developer prior to last year who was not a Sabio grad; he was a bit behind and couldn’t keep up. We interviewed several people, a few of them not from Sabio, and the Sabio grad did the best on the coding challenge, so we hired her. Melissa and I talked a lot about the coding challenge when we developed it. We don’t believe in whiteboarding but candidates work on a project using any tool and then submit the final product within a few days – that’s how we determine whether or not to hire a new employee. What does the relationship look like between Betatgig and Sabio? Do you pay a referral fee when you hire their graduates or are you paying to be a part of their hiring network? Nicki: No, we do not pay a referral fee. Since we are Sabio grads ourselves, they are still like family to us. Now after hiring someone else from another bootcamp and seeing the results of the coding challenge – I think Melissa would agree with me that we’d only like to hire from Sabio in the foreseeable future. We will always interview other candidates – Melissa has a relationship with UCSD–so we are open to others. But after seeing the results of the last coding challenge, Sabio grads have been doing the best. We will see what happens in the future. Melissa: Of course we’re open to hiring engineers from other bootcamps or methods of training, but they would have to outshine the Sabio candidates. Given our success with Sabio, that’s naturally our first go-to spot for hiring devs. Nicki and I are still very much part of the Sabio community and always will be. We were in Cohort 2, so we feel a strong kinship with Sabio, as we were there almost from the beginning. Are your Sabio grad hires learning new languages at Betagig? Nicki: Sabio originally only offered the .Net Stack, and now they offer the MEAN Stack as well. We’ve previously hired grads who learned the .Net Stack, but they then learned the MEAN Stack with us at Betagig. Melissa: Yes, both of our Sabio developers were trained in C#/.Net. We use Node at Betagig, and so both devs started learning and coding in Node the first day on the job. Nicki and I were also trained in C#/.Net at Sabio, but we learned Node on our own in a very short period of time. Not hard! One of the biggest concerns we hear from bootcamp alumni is how they’ll be supported in continuing to learn in their first jobs. Did your bootcamp hires need extra support or mentorship? Nicki: Of course, we’ll give them help if they need it, but I would say no, they don’t need extra support at all. Melissa and I both know what they’re capable of because we came out of the same bootcamp and we remember where our knowledge level was when we graduated. They are in good standing in their own right after Sabio. Melissa: I’m hyper-aware of their development abilities, simply because I went through the same process less than three years ago. I do challenge them, and encourage them to have confidence when I assign a new task outside of their current knowledge. In such cases, I walk them through the architecture and give a high-level overview of the process they should take. Then they’re off and doing it like pros! Do you have a feedback loop with Sabio at all? Are you able to influence their curriculum if you notice your dev hires are underqualified in a certain area? Nicki: I did make a request a while back before hiring Sabio grads – my one request was for Sabio grads to learn the Terminal because I didn’t learn the Terminal when I went to Sabio. I’m not sure if it is yet implemented in the curriculum, but we love working with Sabio. Melissa: I’ve never made any requests of Sabio regarding their curriculum. What is your advice to other startup founders who are thinking about hiring from a coding bootcamp or Sabio in particular? Nicki: I would highly recommend hiring bootcamp grads. If you want to try before you buy, check out Betagig to get some good bootcamp hires. Melissa: I highly recommend it! Coding bootcamp grads get relevant on-the-job type training with the most up-to-date practices and technologies. And they tend to be highly motivated, as most are career changers and have had to make significant sacrifices along with the bold decision to take a leap into a new career. Read more Sabio reviews on Course Report and check out the Sabio website!